I am so obsessed lately with home skin care treatments. I just love the idea that you can take wholesome, fresh ingredients (many of which you can find right in your kitchen) and create something very inexpensive but very beneficial for your skin. Read on to check out some of my favorite anti aging recipes that you can try right now! 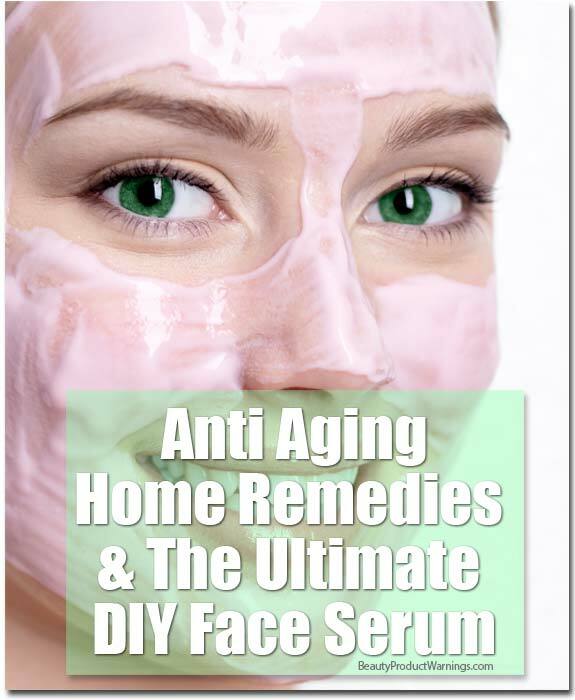 What Are Anti Aging Home Remedies? What Kind Of Ingredients Can You Use? Is It Safe To Make Your Own? What could be more natural than finding, mixing and applying ingredients fresh from their natural sources? Just trying to read the ingredients list on most prepackaged beauty products makes my head hurt. Even so-called “all natural” products still have some sort of preservatives and fillers to give it a longer shelf life. The problem is that over time, your body has to work hard to process all these unnatural toxins. Add in all the environmental pollution and chemicals that are inevitably found in the processed food we sometimes indulge in, and you’ve got an over-taxed system that can lead to dull skin and breakouts. 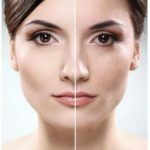 The best way to combat this vicious cycle is to try your hand at making your own pure, and surprisingly effective, skin treatments. Once you’ve mixed and stirred your blend of ingredients, you’ll realize just how easy and simple it can be to do it yourself. The best anti aging treatments contain ingredients that treat damaged skin, refine skin texture, and even smooth wrinkles. You might be surprised at how effective some ingredients you might just have in your kitchen can be in treating those wrinkles, dark spots, and uneven skin tone. Coconut oil is a very good moisturizer and to keep skin soft and supple to help with occasional breakout or to soothe dry spots anywhere. Slather it on dry elbows and knees, chapped lips – anywhere that needs an extra dose of moisture. Coffee grounds make an amazing skin tightener and cellulite reducer. Check out my super simple, cheap, and effective recipe. Apple cider vinegar is a surprisingly effective for tightening and toning. My favorite recipe couldn’t be simpler, and you can get it, along with 3 other sweet little DIY face masks here. Essential oils are also a nice addition to your homemade beauty regimen allow the right scent and or healing property to be used properly. Some will aid in relaxing, a good choice for nighttime and others will give a wake up and start your day feeling. It’s pretty fair to assume that if you can eat it, you can put it on your skin. That said, it’s always a good idea to test your homemade potions on a small patch of skin and make sure you don’t have an allergic reaction to anything. It’s also a good idea to learn about the shelf life of each fruit, vegetable or herb that you’ll be using. Most homemade skin treatments will last for about 2 or 3 days as long as they’re sealed in an air-tight container and stored in the refrigerator. Don’t let fancy serums intimidate you. It may sound like they should only be concocted inside of a lab with tubes and beakers, but it really can be as simple as following a recipe. Rose hip seed oil – This oil contains a high concentration of natural vitamin A, which boosts the growth rate of new cells and increases collagen production deep under the skin’s surface. 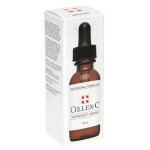 Anti-aging powerhouse reduces the depth of wrinkles, erases fine lines, and lightens age spots. Rose hip seed oil is also packed with omega-6 and omega-3 essential fatty acids, which promote skin elasticity and refine texture. Rosemary oil – This fragrant oil tightens skin and helps reduce the appearance of fine lines and wrinkles. Pomegranate seed oil – This oil contains very high concentrations of antioxidants that help prevent free radical damage, slow the aging process, encourage cell regeneration, and increase elasticity. Sea buckthorn berry oil – This excellent anti-aging oil is excellent for moisturizing dry skin and for treating hyperpigmentation and eczema. Place all the ingredients into your serum bottle and shake gently before every use. To maintain freshness, store your serum in a cool, dark place (I keep mine in the nightstand by my bed). This is a very rich serum, so you might want to apply it before bedtime to give your face all night to drink up the powerful ingredients. If you’re not used to putting oils on your face, it might take some getting used to, but I promise the results will be worth it! 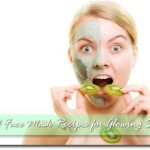 Do you have a favorite DIY skin care recipe? Share it in the Comments section below! I use dermalmd anti-aging serum after it makes my skin feel so good. Goes on smoothly and dries fast, and is helping so much with all the skin damage I have had over the years. Would highly recommend! Great article. I;m definitely make my own serum it sounds great. Your anti aging Remedies are really nice. Apple cider vinegar is one of nature’s most powerful ingredients that offer health as well as beauty benefits. There are several key attributes to ACV that help maintain beautiful skin. Definately Resehip oil is a must. Another good one is flaxseed oil ,lots of omega 3.Its great for the eye area. I used rosehip oil 10 years ago then for some reason I stopped using it and went on to try everything under the earth. The other day I saw a bottle in the cabinet I tried it on and punched myself for stop using it. Hi Sophie, I have heard from readers it helps firm a little but to be honest, I haven’t had that problem quite yet so can’t tell you for sure!